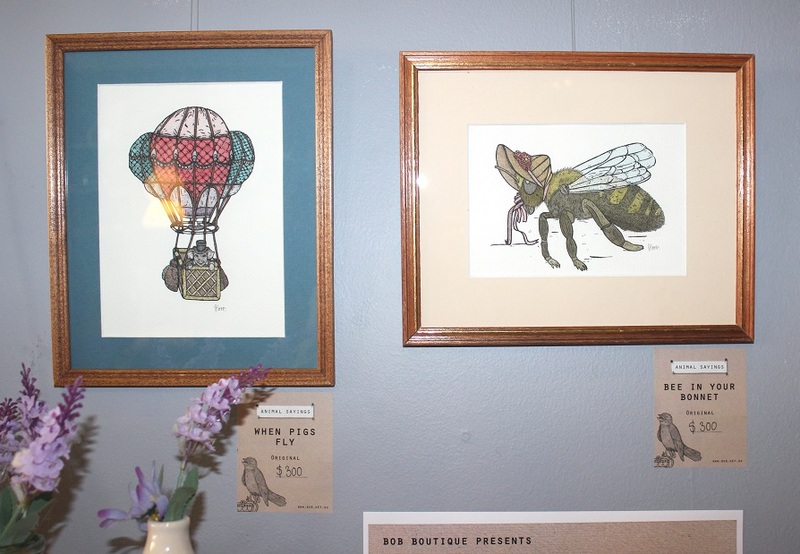 Graphic design alumna Jaimie Orr launched a mini solo exhibition of illustrations at Bendigo’s bob boutique last month. Her quirky animal characters are now adorning the wall of one of the city’s best-loved creative spaces. 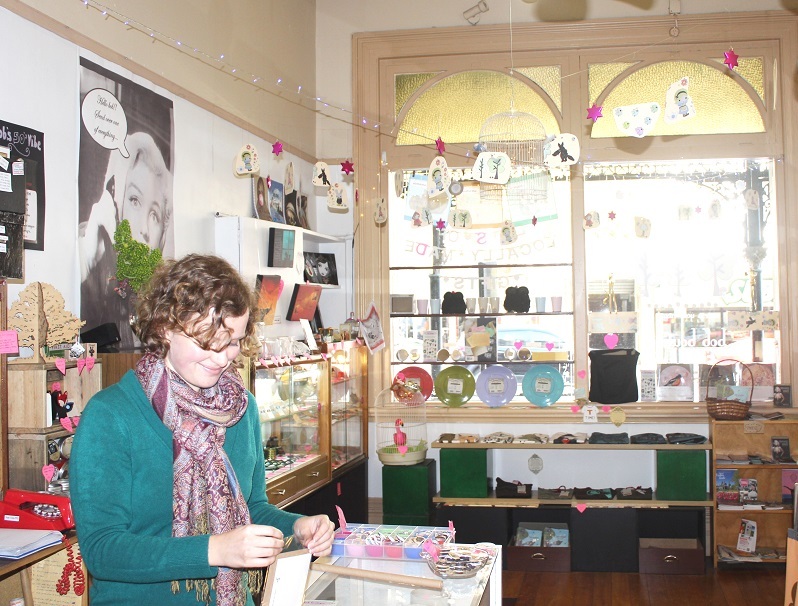 “This shop is pretty famous among the visual arts and graphic design students,” Jaimie says. 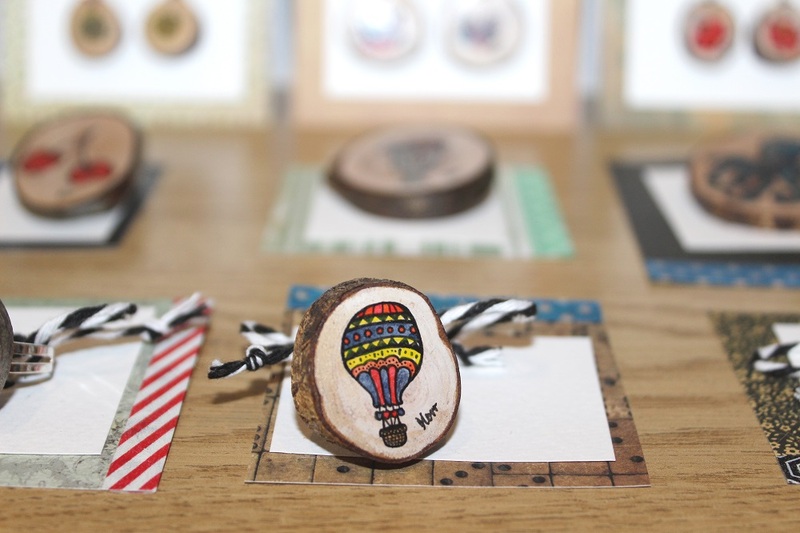 Bob boutique is an outlet for many local craftspeople and artists. 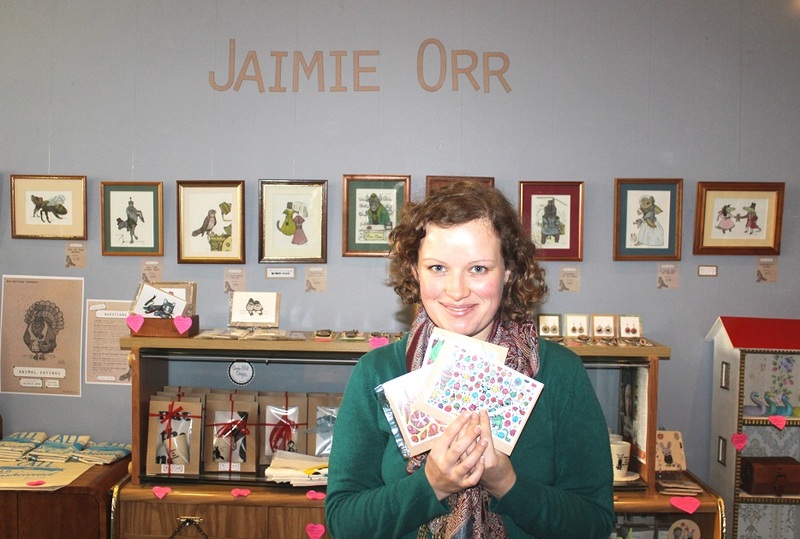 Jaimie began working in the shop last year. She says it’s been the perfect stepping stone for her arty endeavours since graduating in 2014. 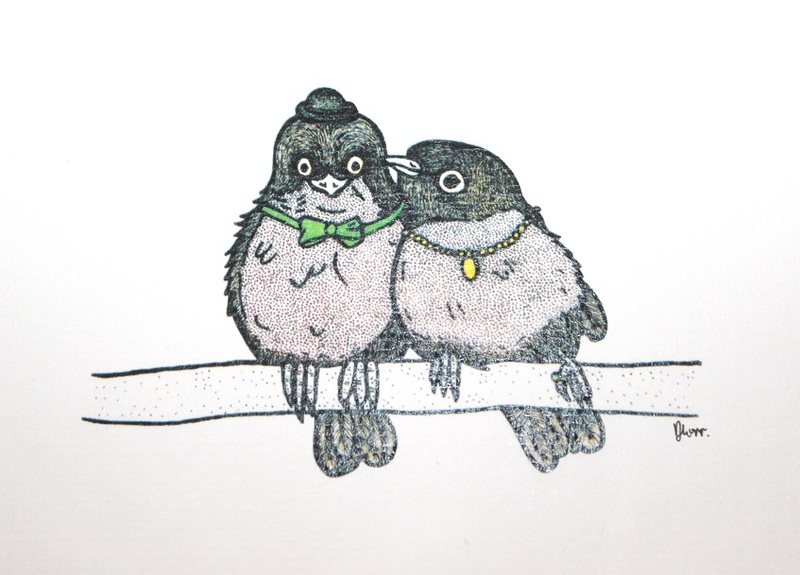 Love birds, by Jaimie Orr. She’s not the only one. Jaimie mentions past students Annie Henderson and David Snowdon, who have also found success with illustration. She credits illustration lecturer Paul Morris as someone who helped her flourish in the course. After graduating Jaimie picked up the odd freelance design job, and worked at a clothing boutique specialising in Australian-made fashion. That, in turn, led to bob. At first her job here was purely in retail. “I was a little bit sneaky with my resume,” she says. “When I applied for the job I snuck in some photos of my work, just to show what I could do.” Shop owner and artist Sonia Brit took note, and Jaimie’s job description soon grew. She now helps design brochures, newsletters and products for bob, like cool typography on brooches and bags. You’ll also find Jaimie’s exquisite hand-made jewellery on the shelves, fashioned from the branches of her mum’s cherry tree. “I found a way to seal the wood so I could draw on it,” Jaimie says. She wore one of her creations to work one day, and soon found herself with a production line and a shelf to fill. Then, Sonia asked if Jaimie would like some wall space for a month or so. This charming collection of 10 fine liner and ink illustrations called Animal Sayings is the result. It’s on show at bob until June 30. This is so great, well done to Jaimie on following her dreams, something more girls and women should be inspired to do! A talented girl who is set to achieve wonderful things that is obvious. I have shared on Twitter!